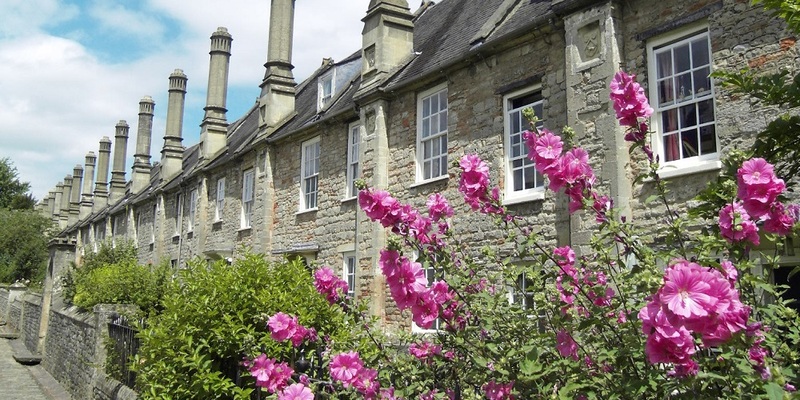 Wells is famous for its breath-taking cathedral and rightly so, but England’s smallest city and the surrounding area has a lot more to offer than that; there are plenty of little gems hiding away amongst the quirky streets and beautiful buildings. Although small, it can be a bit of a maze, with hidden roads and cul-de-sacs so I’d recommend purchasing a map for £2 in one of the well signposted car parks. If you’re planning on visiting Wells Cathedral you will need a good few hours to look around and marvel at its beauty. You should also factor in time to wander over to Vickers’ Close, which is adjacent to it. Built in the 14th Century, it is claimed to be the first and oldest intact residential street it Europe, and its cobbled street and quaint houses will not fail to charm you. Also alongside the Cathedral green is Wells Museum and the permanent memorial to Henry ‘Harry’ Patch, who before his death in 2009 was the ‘Last Fighting Tommy’. Entry to the museum is £3 and although small it is well worth a visit. Whether history is your thing or not, you won’t fail to be amazed by The Bishop’s Palace. Built in Medieval times, it has been home to the bishops of Bath and Wells for 800 years and is surrounded by a beautiful moat, where you can see the famous mute swans who ring a bell when they want food! There are 14 acres of gardens to explore too, along with guided tours, the Bishop’s private chapel and the ruined Great Hall. If you’ve worked up an appetite exploring, there is a café at the palace as well as tea rooms, pubs and coffee shops surrounding the cathedral. But if you’re looking for something a little different, I would personally recommend Magpie Bistro Bar on Market Street. The décor is lovely and there’s a friendly atmosphere that really compliments the great food (and even better cocktails!). The book worm in me particularly loves the menus, which are encased inside old books. If shopping is your thing, there are some lovely little independent stores in Wells, as well as a market in the square on a Wednesday and Saturday. If you really want to indulge in some heavy duty retail therapy though, I’d recommend Clarks Village in nearby Street for outlet shopping, or Kilver Court in Shepton Mallet. Here you will find the Mulberry shop, Orla Kiely and other designer clothing as well as locally sourced home and beauty products. Wells is a good base to explore the beautiful surrounding landscape too. Head to Glastonbury and climb the Tor for truly magnificent views which span 360 degrees, or Cheddar Gorge where you can explore the caves, hop on a sightseeing bus, rock climb and make friends with the resident goats! The world famous caves of Wookey Hole are also close by, with over 20 attractions that all the family will love, including a circus, 4D ‘The Lost World’ experience, Valley of the Dinosaurs and Adventure Golf. This beautiful area of Britain really does have so much to offer, whatever the weather.